The past twenty-five years have witnessed the flowering of a Newfoundland literature that has had a significant presence on the national and international stage. The place and its people have featured in the work of writers such as Annie Proulx, Wayne Johnston and Lisa Moore, all of whom have been published to acclaim in countries around the world. The emergence of a significant body of fiction in which Newfoundland’s culture and history figures prominently has done much to influence the image of Newfoundland that people from the province and in the outside world “see.” And it has also raised niggling questions about the use of history and real-life figures to animate fictional stories. Is there a limit to the liberties a writer can take with the real world? Is there a point at which a fictionalization of history becomes a falsification of history? What responsibilities do writers have to their readers, and to the historical and cultural materials they exploit as sources? Using Newfoundland and its recent literature as a case study, and drawing on Michael Crummey’s own experience appropriating historical characters to fictional ends, “Most of What Follows is True” is an examination of the complex relationship between fact and fiction, between the “real world” and the stories we tell to explain the world to ourselves. 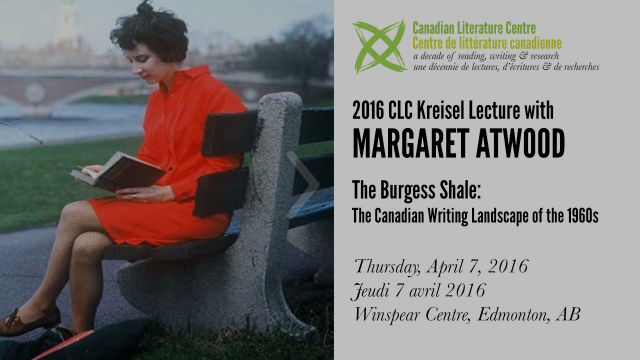 Click HERE to see the 2016 CLC Kreisel Lecture with Margaret Atwood. Lynn Coady’s new book, Who Needs Books, from her 2015 CLC Kreisel Lecture is available in February 2016 from the University of Alberta Press. What happens if we separate the idea of “the book” from the experience it has traditionally provided? 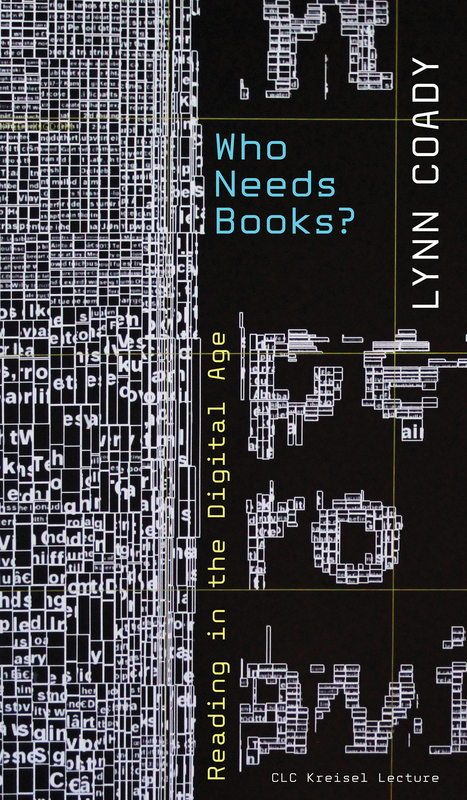 Lynn Coady challenges booklovers addicted to the physical book to confront their darkest fears about the digital world and the future of reading. Is the all-pervasive internet turning readers into web-surfing automatons and books themselves into museum pieces? The bogeyman of technological change has haunted humans ever since Plato warned about the dangers of the written word, and every generation is convinced its youth will bring about the end of civilization. 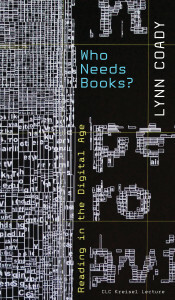 In Who Needs Books?, Coady suggests that, even though digital advances have long been associated with the erosion of literacy, recent technologies have not debased our culture as much as they have simply changed the way we read. consistently drawn critical and public attention. Her first novel, Strange Heaven, was a Governor General’s Award nominee. Her subsequent books, Play the Monster Blind, Saints of Big Harbour, and Mean Boy were each recognized by the Globe and Mail as a “Best Book” in 2000, 2002, and 2006 respectively. In 2011, her novel The Antagonist was shortlisted for the prestigious Scotiabank Giller Prize, an award she won in 2013 for her short story collection Hellgoing. 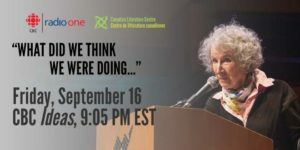 Her journalism has been published in such publications as Saturday Night and Chatelaine, and Coady is also a founding editor of the Edmonton-based magazine Eighteen Bridges. Tomson Highway’s new book, A Tale of Monstrous Extravagance, from his 2014 CLC Kreisel Lecture is now available from the University of Alberta Press. Introduction by Christine Sokaymoh Frederick. Annabel Lyon’s March 2011 lecture is now available, with Introduction by Curtis Gillespie. 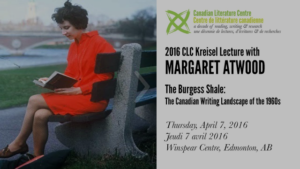 About the book: In March 2011 the Canadian Literature Centre hosted award-winning novelist Annabel Lyon at the 5th annual Henry Kreisel Lecture. Annabel Lyon’s passion for historical novels and her love of ancient Greece make her lecture on the process of creating characters of historical fiction captivating. She discusses the process of wading through historical sources – and avoiding myriad pitfalls – to craft believable people to whom readers can relate. Finding familiarity with figures from the past and then, with the help of hindsight, discovering their secrets, are the foremost tools of the historical novel writer. Readers interested in the literary creative process and in writing or reading historical fiction will find Lyon’s comments insightful and intriguing. About the author: Annabel Lyon, a Vancouver-based fiction writer and teacher, is the author of several books, including her acclaimed historical novel, The Golden Mean.